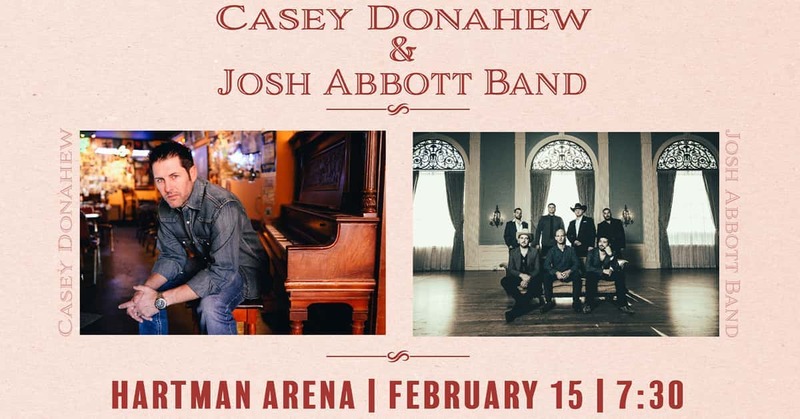 Red Dirt stars Casey Donahew & Josh Abbott Band will take the stage at Hartman Arena on Friday, February 15, 2019. Tickets go on sale now. Prices range from $20-35 with a general admission pit. Tickets available at Ticketmaster, Hartman Arena box office, or by calling 1.800.745.3000.